LOCKS IN MOISTURE FOR EASY CLEANING. Store in a dry place. 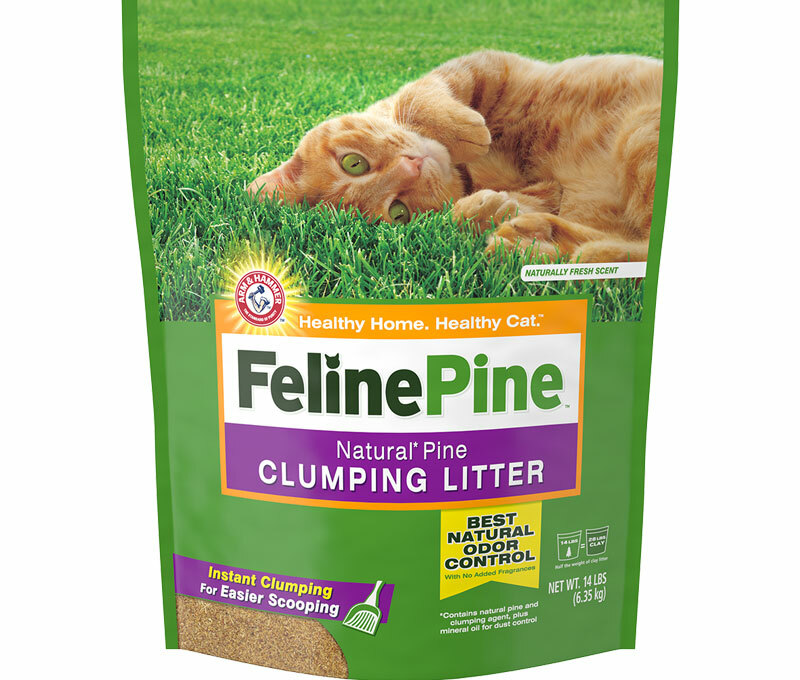 If clumping cat litter comes in contact with water, clumps will form. However, it will not be affected by humidity. 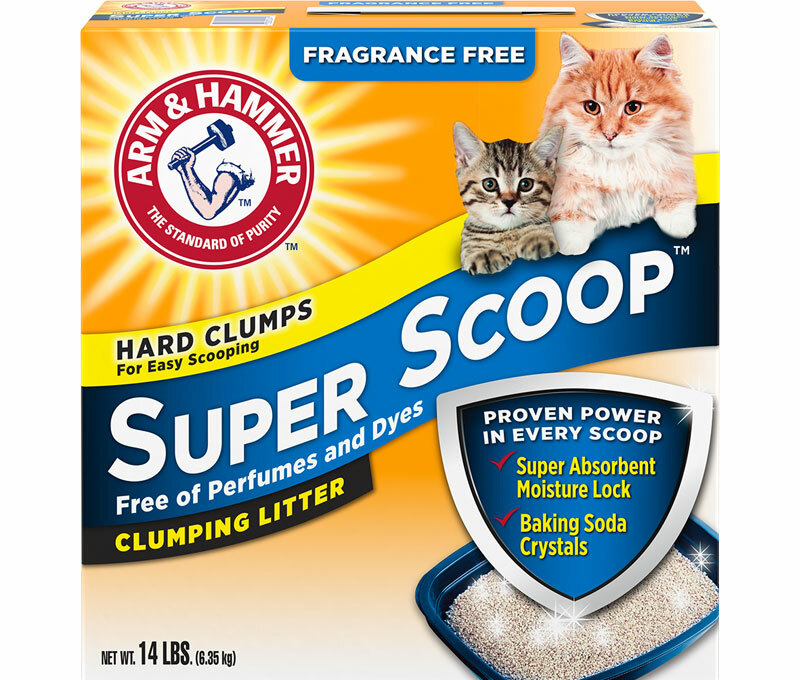 What is the source of ARM & HAMMER™ Cat Litter ingredients? 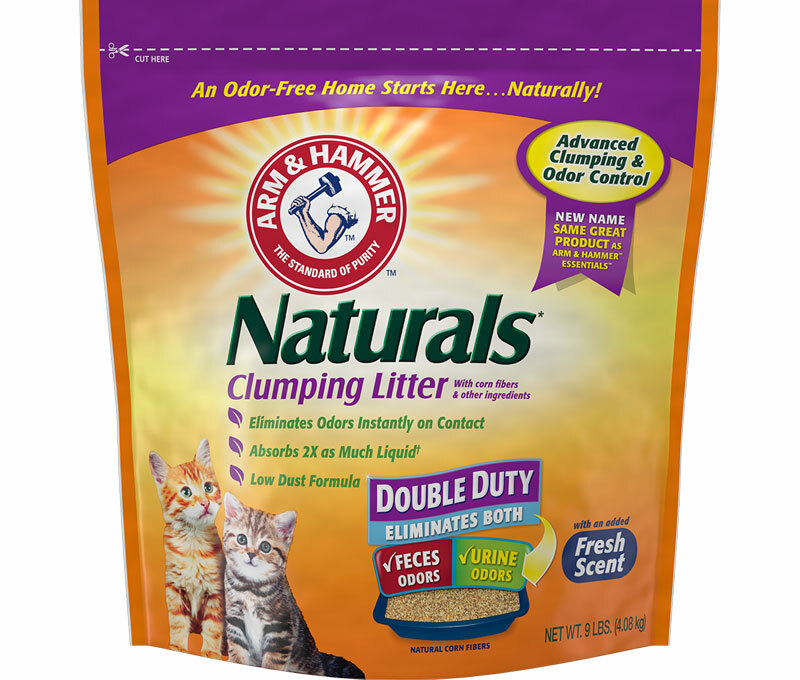 The main ingredients in ARM & HAMMER™ Cat Litter are derived from mineral and plant sources. I was NOT a cat lover. The one reason was liter box odor and the HUGE mess it was to clean it. My son brought a 3 week old kitten home a year ago. I went to the store and purchased Arm & Hammer Multi Cat Scoopable liter. I scoop it everyday. And I only change the whole thing ONCE A MONTH !!!! Every few days I add a scoop or 2 just to replace what I've taken out. I absolutely LOVE this and ALL Arm & Hammer products. Laundry soap, fridge boxes etc..Thank you for your FANTASTIC products. They truly make life easier and smelling GREAT!!!! Bought this because I hate fake scents as much as poo scents. My son is lazy cat owner. He doesn't always get to it twice a week. This unscented one was amazing. He went at least a full week and couldn't even tell. Now I'm having trouble finding it.  Please make a fragrance free in your new naturals line!! The Naturals is perfect clumping no mess, love it! But you need to offer fragrance free!! It's WAY to strong smelling for me and poor cats!! 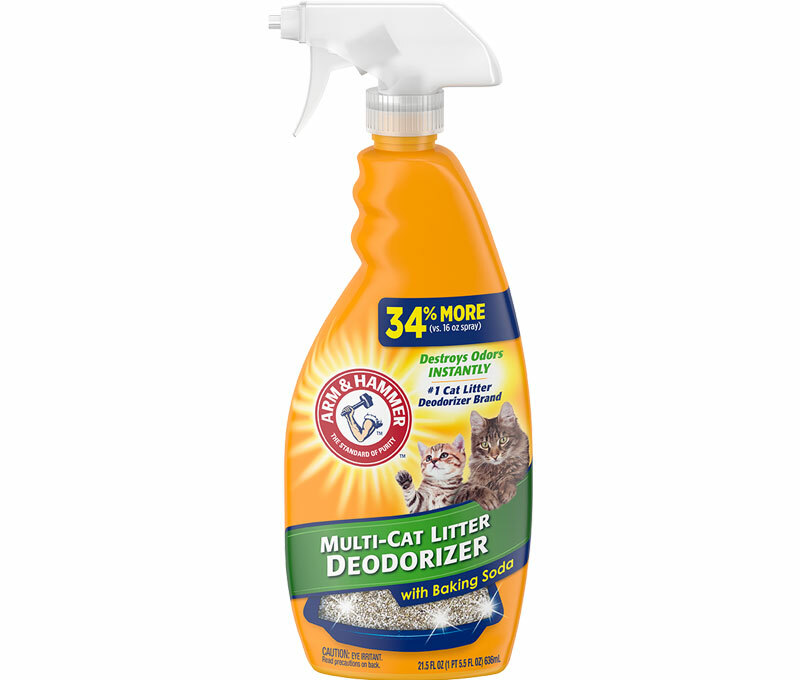 I have used this litter pretty much exclusively for more than 6 years, and recently took care of a friend's cat and was reminded of how much goes into to making this litter an overall better product. 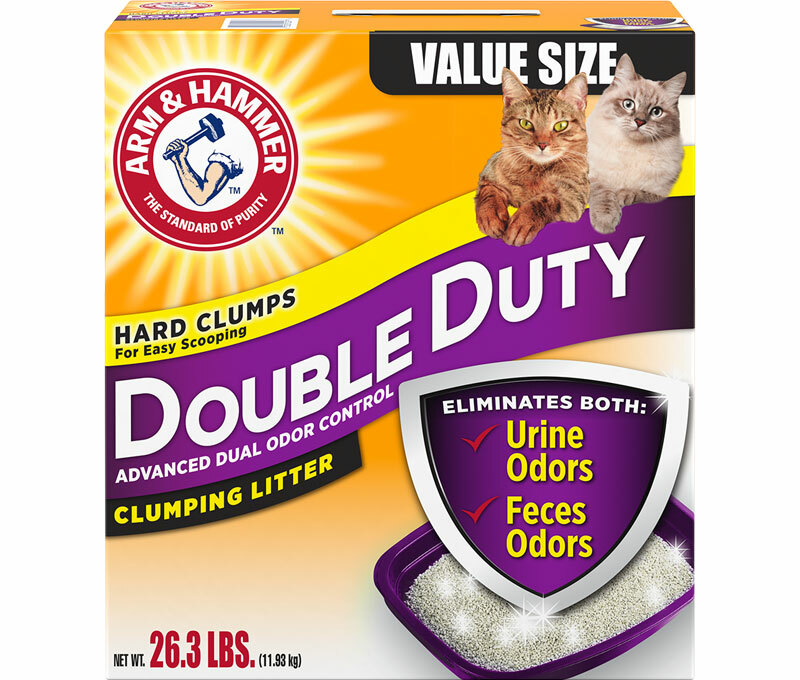 I hope A&H keeps having a fragrance free, low dust, odor eliminating baking soda-litter mix product that makes cleaning up cats' waste a much more hassle-free and less messy. Thanks!